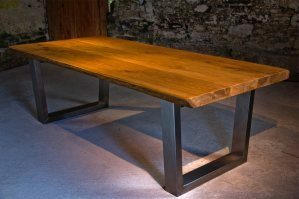 We sell a range of industrial dining tables, all of which are extremely strong and rugged, and can be made to your exact specifications. 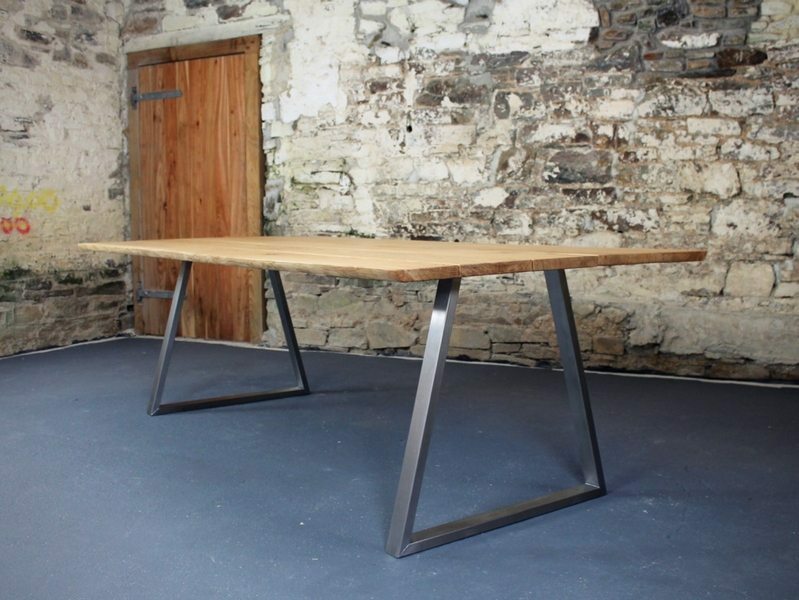 All of our dining table bases are available in brushed stainless steel which has been hand welded to precision, giving each table it’s unique style. We can also powder coat your base to any RAL colour if you’d prefer. 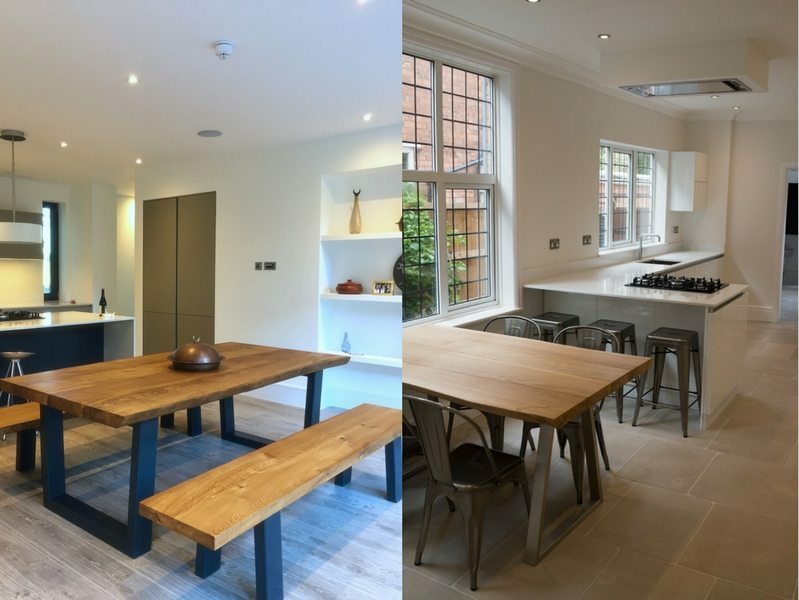 Our table tops are made from either single pieces of chunky solid oak, or a high quality birch plywood with a super resilient laminated smart surface coating. There are links throughout this page if you want to see more pictures of any particular design. You can see all our standard sizes and prices by downloading our price list brochure here. 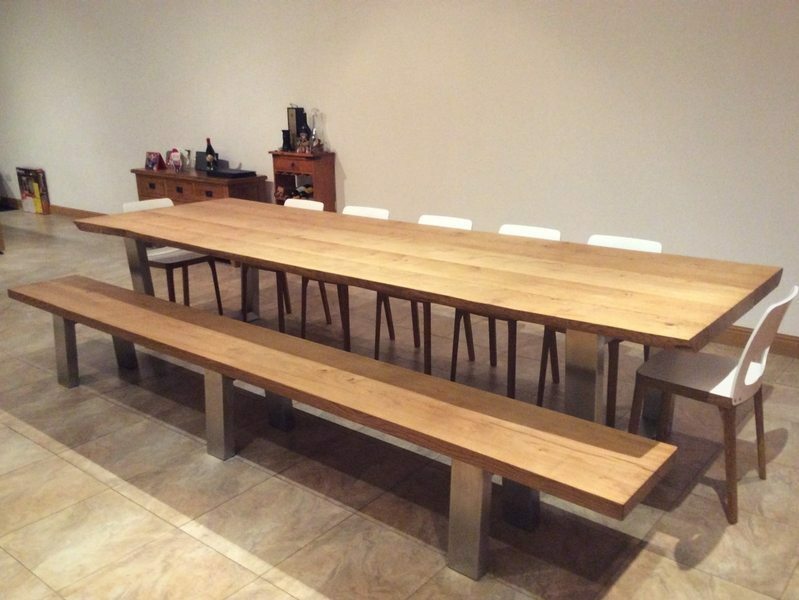 The Komodo large oak dining table is our flagship dining table. The base is made from high grade brushed stainless steel, and the table top is made from single pieces of beautiful high grade oak. 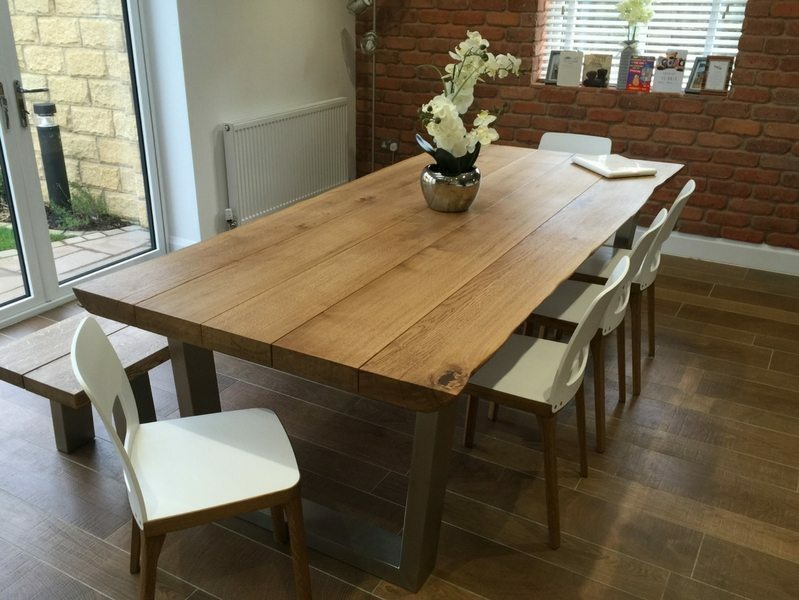 This table top is available in either 65mm or 52mm thick oak, with live edges or straight edges. The Scorpion dining table uses a unique combination of angles, creating a super stylish industrial table. 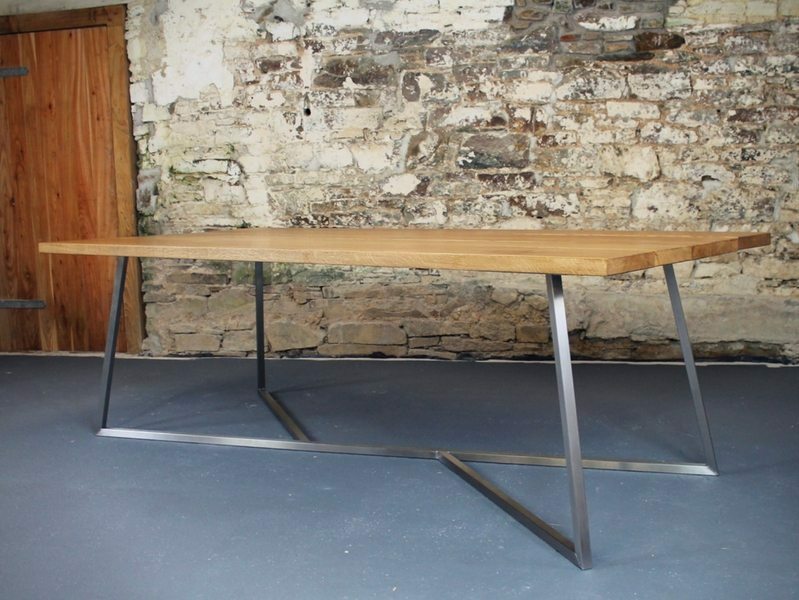 The base is hand welded (like all our tables) from high quality brushed stainless steel. 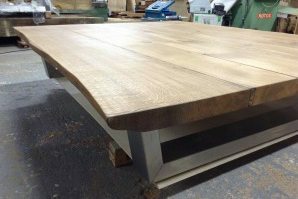 The table top is made from single pieces of high grade solid oak, and is available in either 30mm or 40mm thickness, with a live edge or straight edge. The Strata Dining Table is a simple, stylish design which will stand up to extremely heavy use without looking worn in any way. The industrial dining table top is made from high quality Birch Plywood, coated in a super resilient matt laminate. Spills will wipe up effortlessly so no need to worry about staining. The table legs are made out of either brushed stainless steel or mild powder-coated steel which is available in any RAL colour. The Iguana dining table has a single piece hand-welded stainless steel base, to which a high quality plank style oak table top is fixed. The oak table top is available in either 30mm or 40mm. 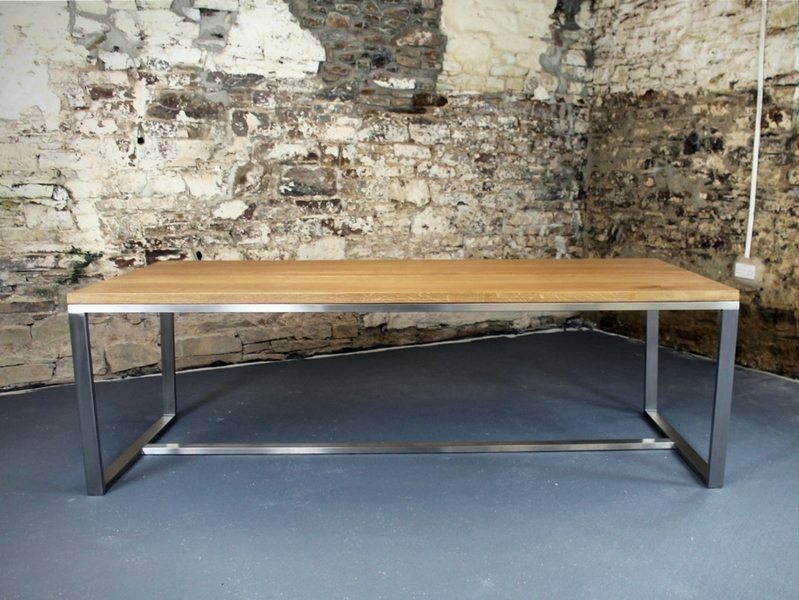 The Piranha is striking and unique table, with a brushed stainless steel base. 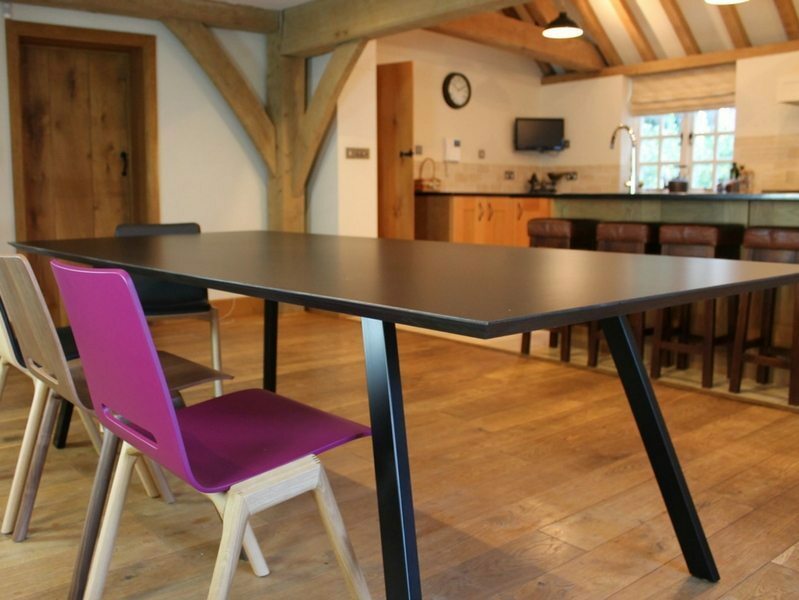 As with all our tables, the base is also available in a powder coated finish in any RAL colour. 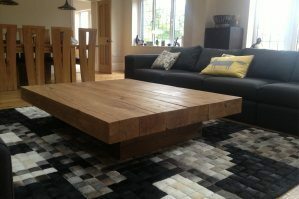 The table top is made from high grade solid oak and is available in either 30mm or 40mm thickness. It also comes with either a live-edge or straight edge depending on your preferred style. For all our dining tables we can make matching bench seats to whatever size you want. We can even make your bench out of the same tree as your table, so they’ll match up beautifully.